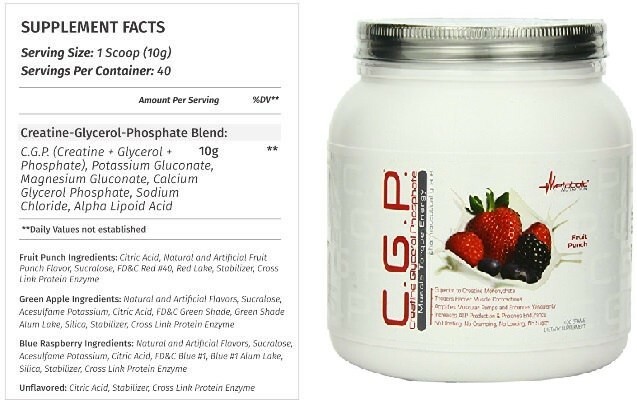 Metabolic Nutrition CGP Review: a new creatine contender? Creatine CGP by Metabolic Nutrition, it looks enticing doesn’t it? Our experts took it, and took it again, then took it once more… Did they find gains? You’ll want to read this before you spend your own money. Creatine CGP stands for Creatine Glycerol Phosphate, and as the name implies, it is a creatine molecule attached to both a glycerol and phosphate molecule. As we found, there is next to zero research on CGP, we couldn’t even find a wiki page for it! Essentially, they claim that Creatine Glycerol Phosphate is better than Creatine Monohydrate in every single way. Sounds like a bodybuilding Christmas miracle, right? Quite frankly, this creatine supplement was the weakest I’ve ever taken. Borderline zero effects. This product may be decent in tandem with other forms of creatine, but as is, no thank you. Quick Strengths: Tastes good and dissolves easily. We couldn’t find any literature evaluating CGP’s effectiveness. Quick Weaknesses: Ineffective and more expensive than other forms of creatine. Best way to take Creatine CGP: Really doesn’t matter for this product. To begin, its important to point out that at BWSB we’re no strangers to creatine. 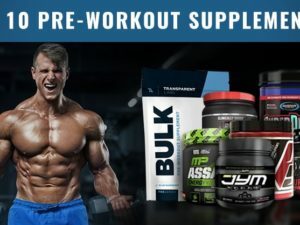 In fact, we’ve created one of the most referenced creatine supplements guide on the internet, that isn’t run by a store with skin in the game. So, when I came across Creatine CGP by Metabolic Nutrition on Amazon I was interested in the team trying it. It looked new, high tech, and like the creatine of tomorrow! Plus, getting a solid dose of glycerol with your creatine is an attractive offer. Unfortunately, taking Creatine CGP kind of sucked. After the first 10 days, I was actually losing strength since I had ceased taking creatine monohydrate. This didn’t make a whole lot of sense, since based on the 10 gram serving size by Metabolic and the weight difference between Creatine and Creatine Glycerol Phosphate – I should have still been getting 5 grams of raw creatine. But it didn’t feel that way. So, I doubled up on the dosage. Now I was taking one 10 gram scoop before exercise, and one 10 gram scoop afterwards. Still, nothing compared to standard monohydrate. Quite frankly, my results taking Creatine Glycerol Phosphate were terrible. The rest of the team, abandoned this product after 5 days of “taking creatine but not feeling the creatine”. However I kept going because I knew I had to write this review for you guys. After 25 days of taking Creatine Glycerol Phosphate as my only source of supplemental creatine, I stopped and began digging into the research. 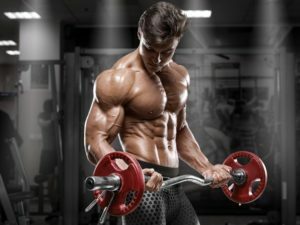 What is creatine glycerol phosphate exactly? Are there any other reviews on Creatine CGP? What are the forums saying? Creatine CGP is a 25 year-old form of creatine. And I couldn’t find 1 credible review or testimonial. NOT ONE! In fact, the only testimonials that I could find, were in forums where it is clear as day that the individual starting the thread was a brand promoter. If you’ve read our review on Metabolic Nutrition’s ESP, you’ll know that we weren’t very fond of it either. Based on our experience, we recommend seeking out a sample-pack if you are interested in trying Creatine CGP. For us, it wasn’t impressive. For you, maybe it will be a good fit – just find out first before you fully commit your wallet. Likewise, if you find that you have a really good experience with Creatine CGP, please comment below. There is always the possibility that we got a bad batch that only had flavoring and fillers (as terrible as that sounds as well).